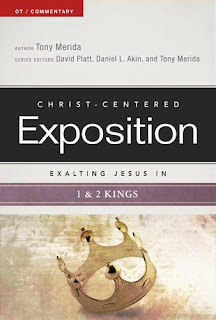 “Exalting Jesus” part of the title. Many Christians dwell in the New Testament without reading, studying or knowing what riches are revealed in the Old Testament. However, I thank God that He has led me to the Old Testament many times so as to reveal the truths that aren’t quickly seen with just a perusal of that portion of the Bible. Usually I read the sections listed before reading a commentary; however, this time I wanted to challenge myself by listening to the Word. Really listening to it and not casually hearing. 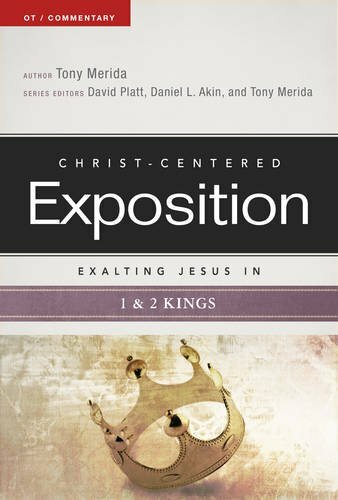 The commentary is not a verse by verse exposition, but a section by section commentary that I believe will draw many readers. There aren’t notations about the original language or that it is written for purely academic reasons. In fact, it is written to help all followers of Christ see Christ in the Old Testament. There are many nuggets of truth that I enjoyed contemplating from the author of the commentary after listening to the Bible section being covered. I enjoyed the way the Lord was active and speaking to His people, as well as relearning what happened in ancient Israel with her kings. Both types of earthly kings, evil and good, show us our own personal need for a King and not just any King, but the King of Kings who reigns and will one day return! If you truly desire to grow in Christ, then don’t dwell exclusively in the New Testament. That’s only ½ of the book. There is much for all of us to see and learn from in the many Old Testament books because through them we begin to see Christ. The New Testament shows us the fulfillment of many Old Testament promises as well as examples of how God’s people did and didn’t please Him. Here is a commentary that will aid in your understanding and help you see Christ in the Old Testament, and I hope it whets your appetite to learn more from these books. The author has questions after each chapter that can be used to journal answers, use as a means to pray or as a springboard to a deeper study. Either way let’s remain students of the whole Bible, disciples of the Christ foreshadowed in the Old Testament and unveiled in the New.